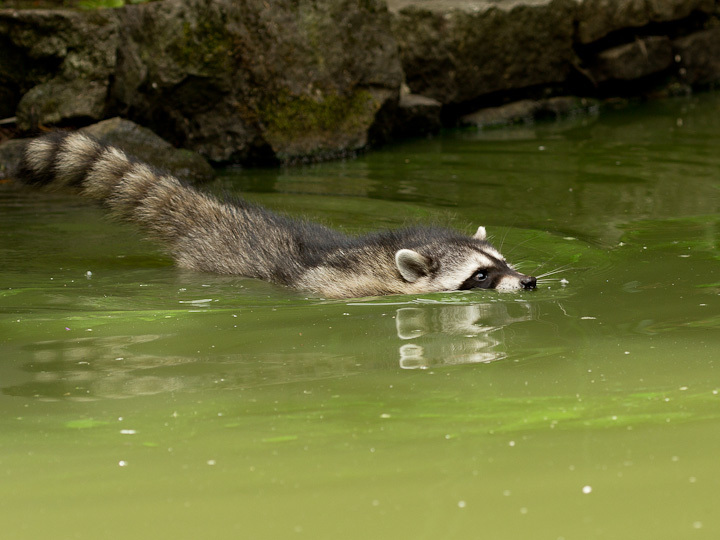 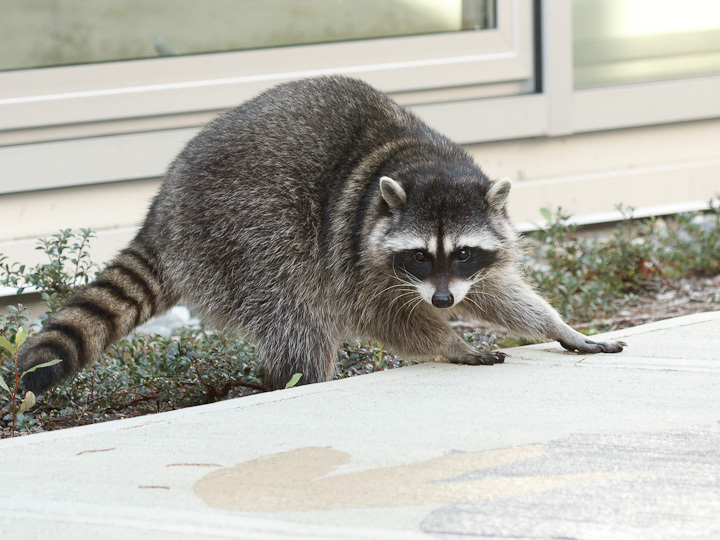 The adventures of the SFU raccoons continue! 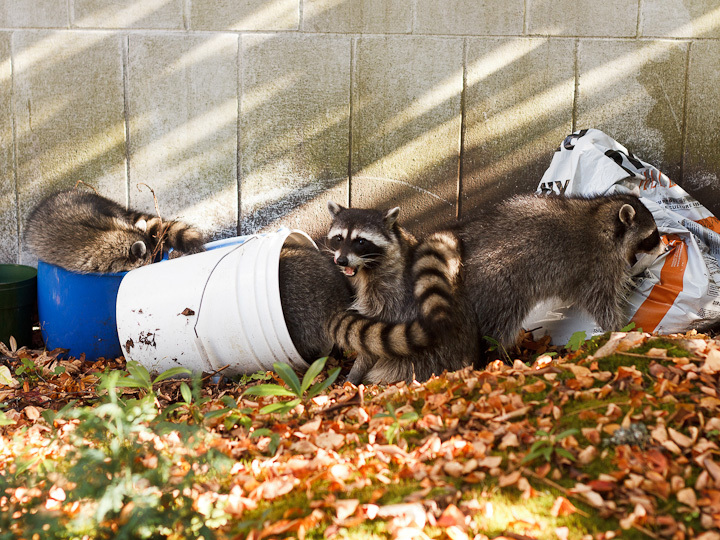 Today, they were getting into the buckets outside the building. 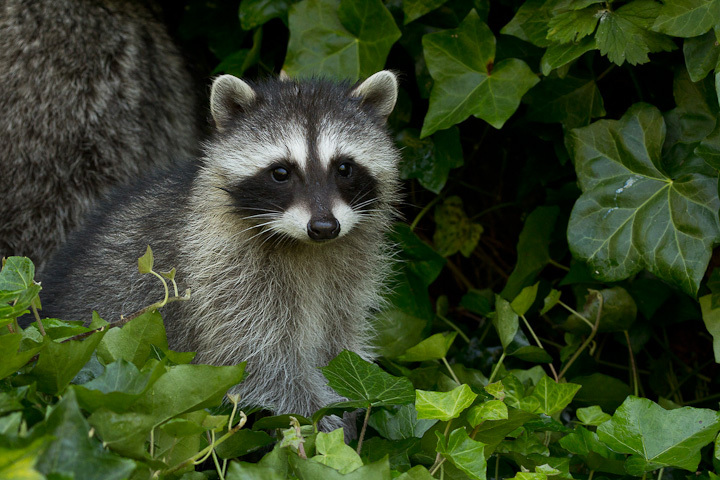 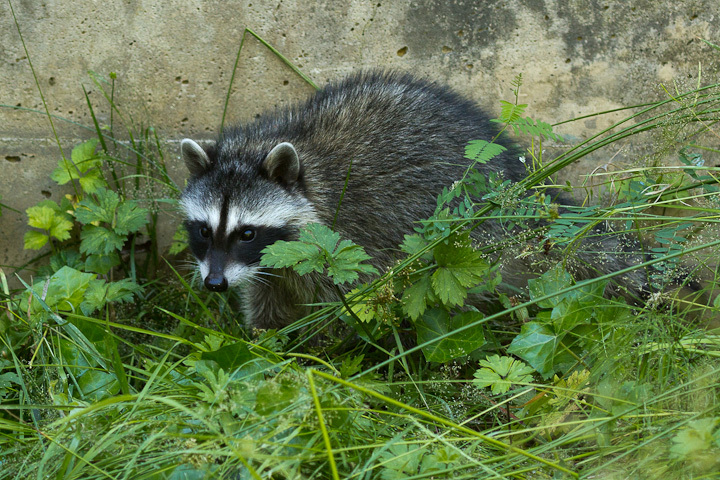 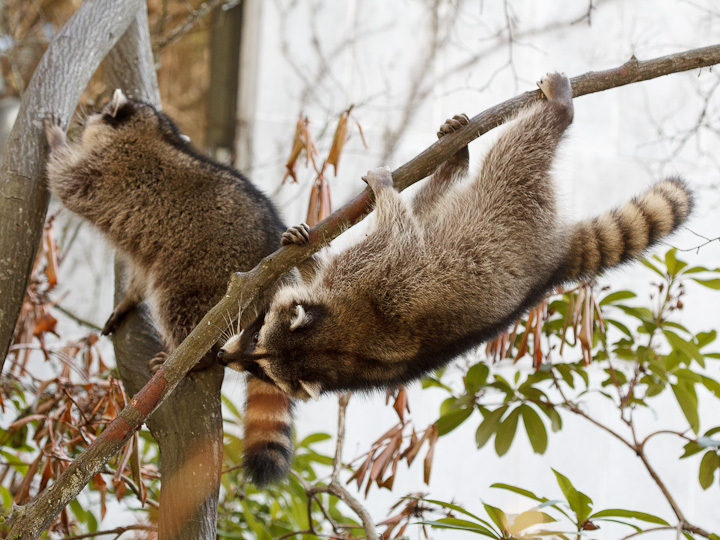 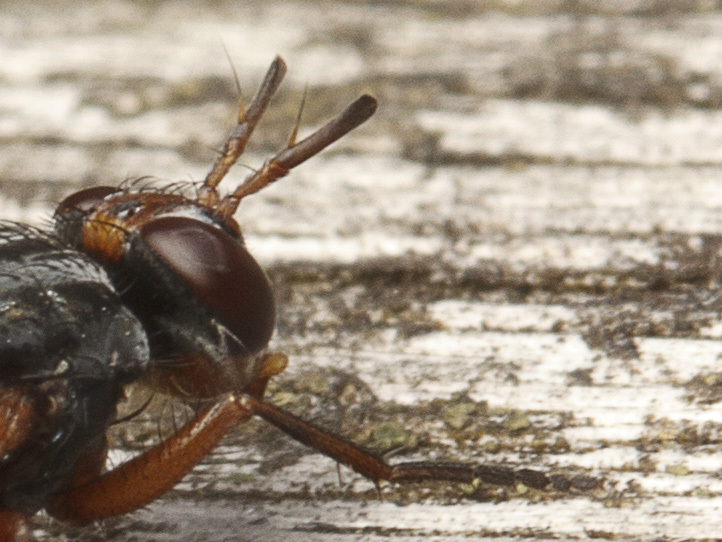 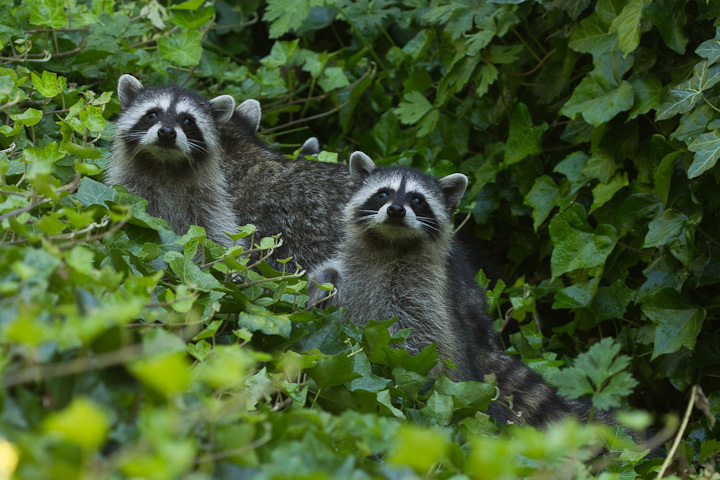 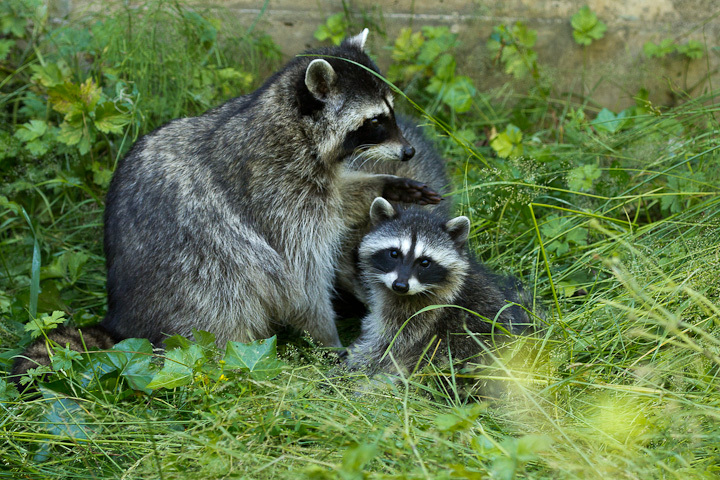 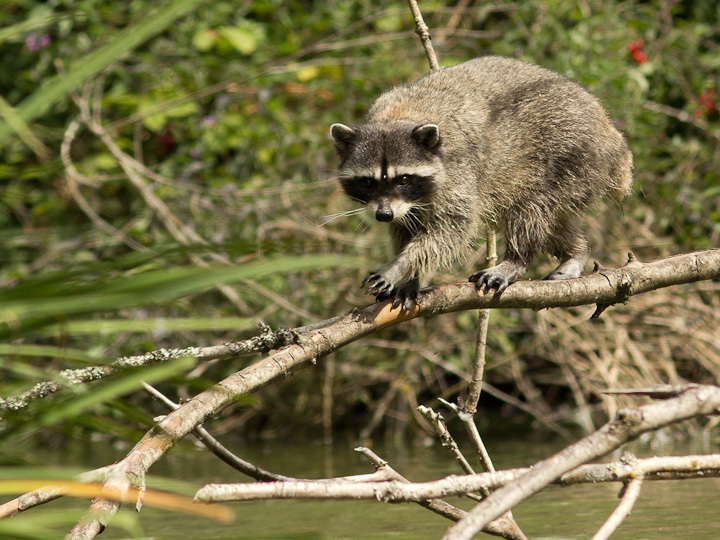 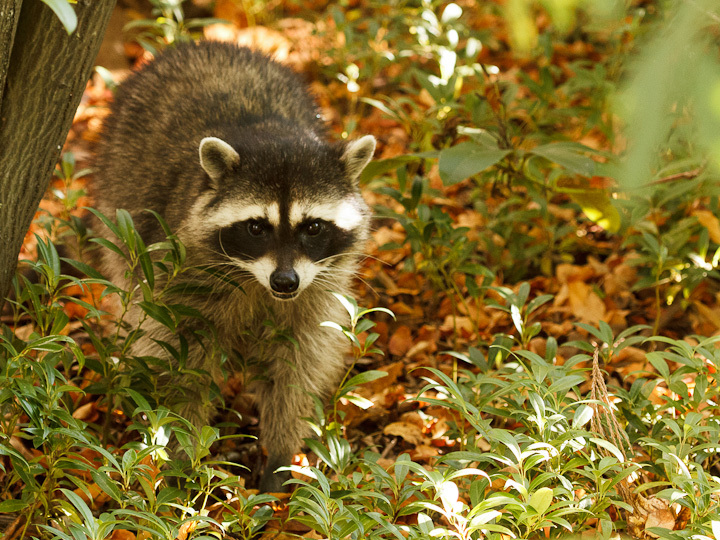 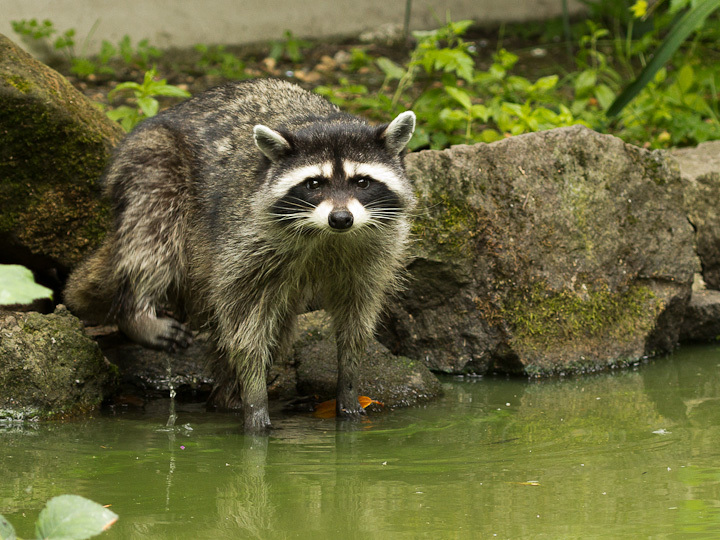 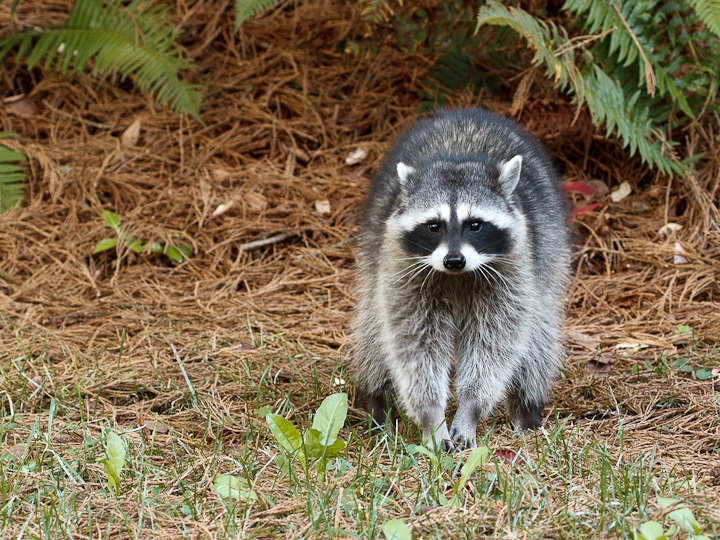 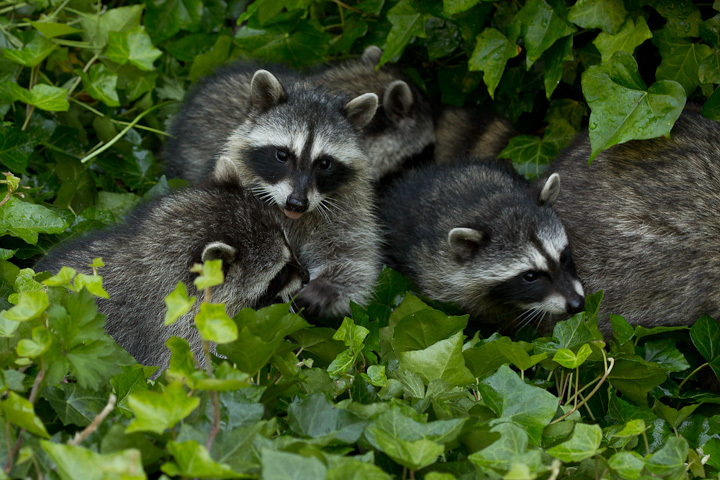 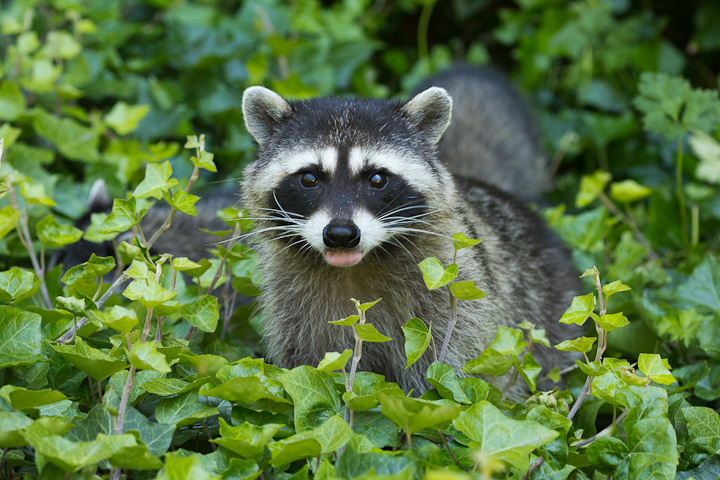 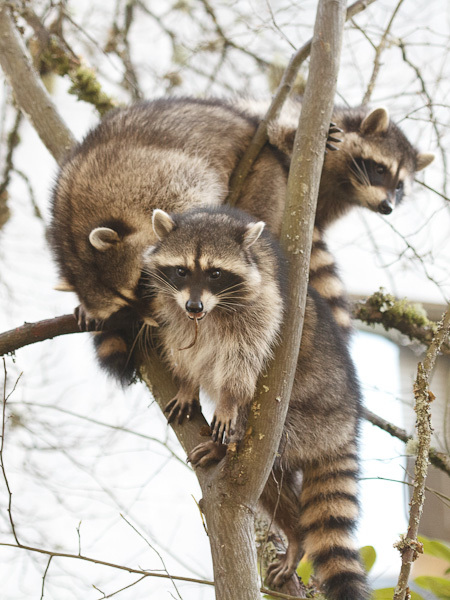 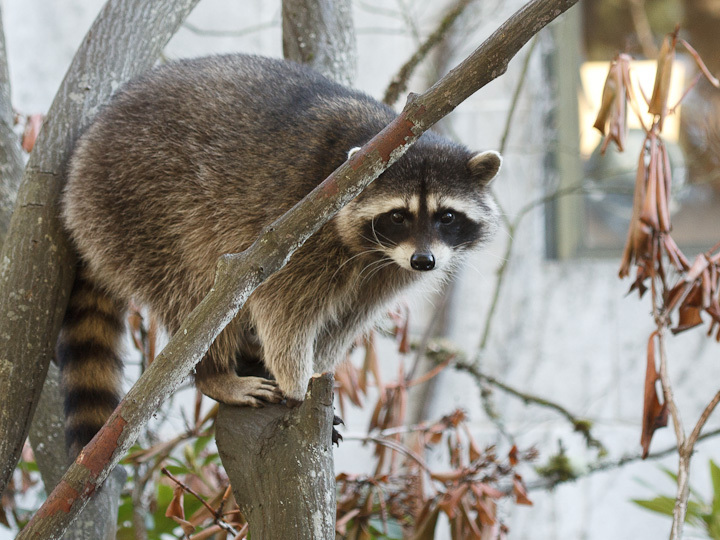 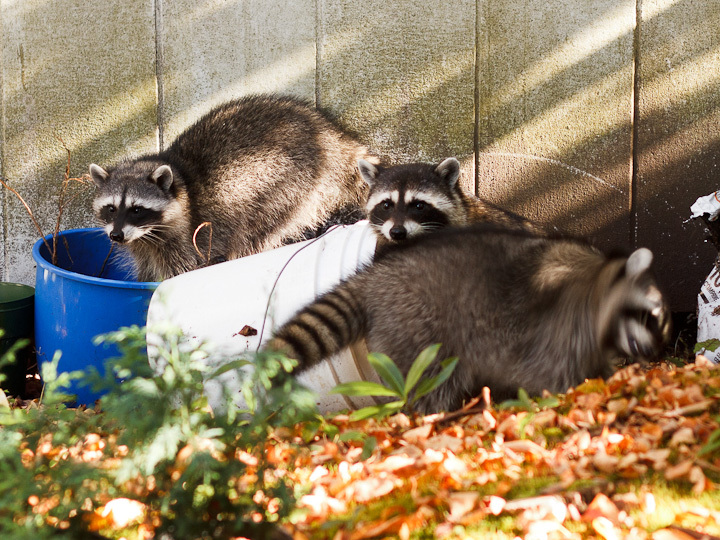 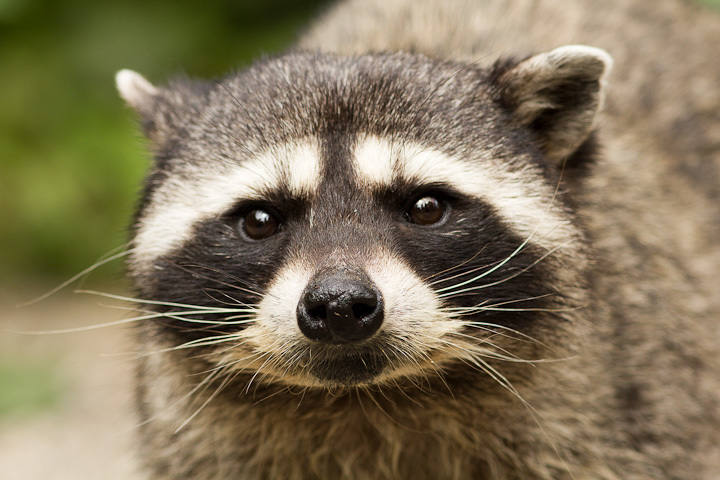 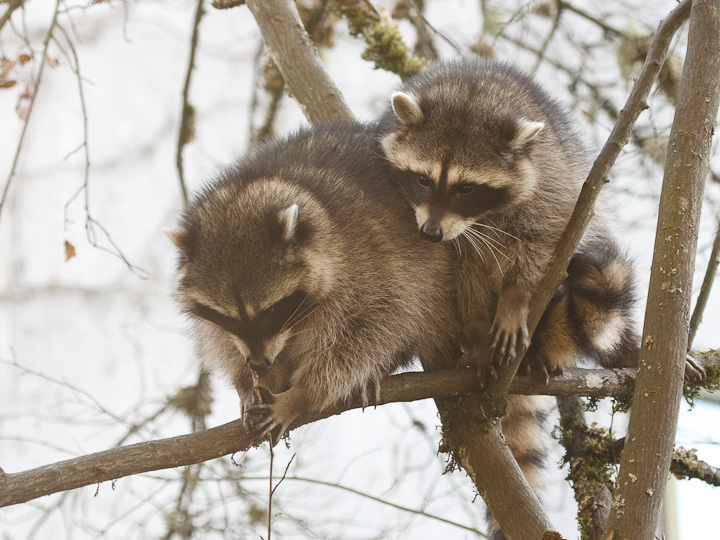 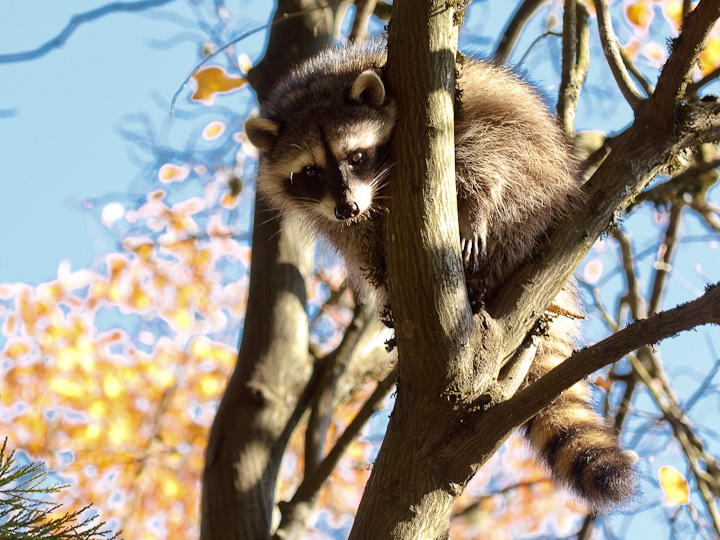 This entry was posted on October 16, 2013, in Uncategorized and tagged raccoons, SFU. 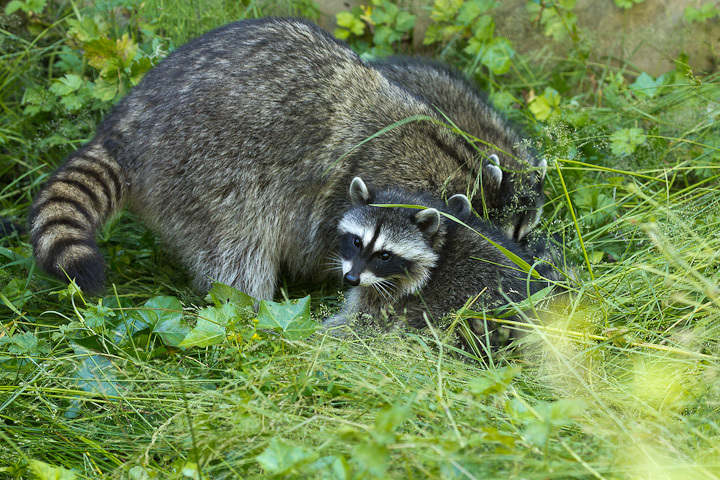 Yesterday, while traversing the courtyard near the insectary, I came upon a family of 4 baby raccoons and their mom. 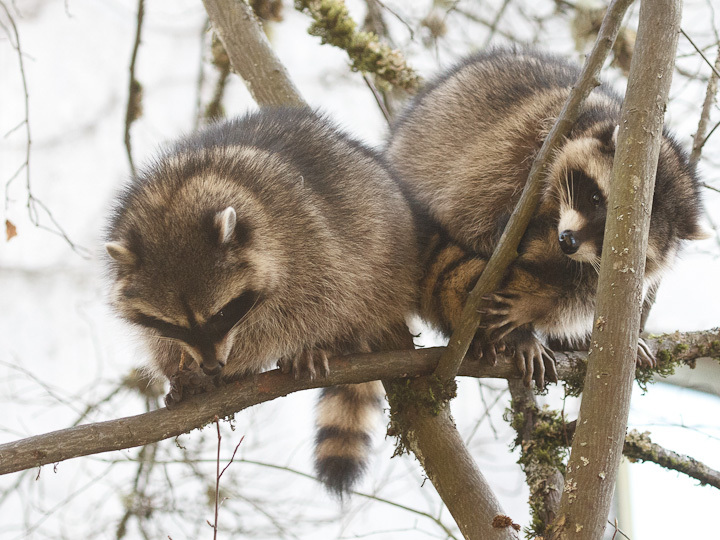 As I had been struggling through a grant application all day, these were an awesome lift to my spirits!